Any information please. Where, when, who. Photo courtesy of V. Hopkinson. 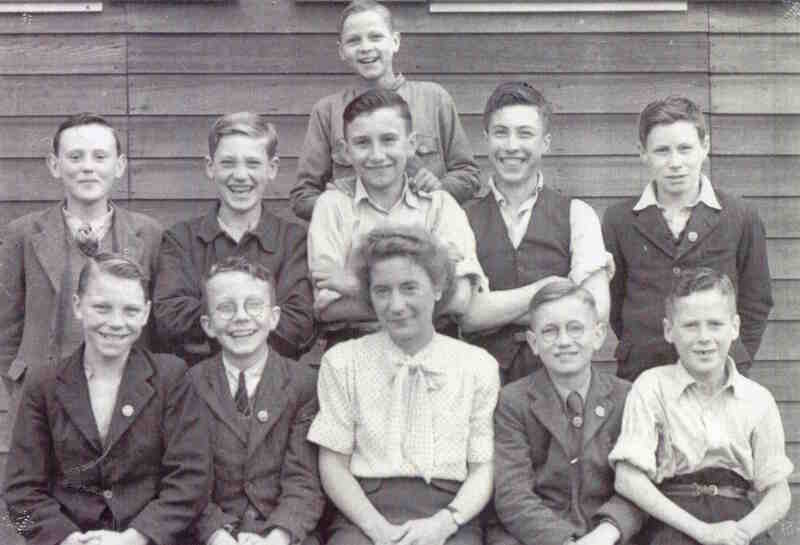 The boy sitting in the first row to the left of the teacher is David Walker. The year is 1947 I think. This would have been taken at Killamarsh Seconday Modern, as the teacher is Miss “Winny” Davis. This would be around 1945-50. Miss Davis “trained” the football team, and the likley lads could fit the bill, albeit they are a man short, could be he got a red card previous match?